This deserves a post of it’s own. I was at H-Mart today and was thrilled to see Green Mangoes on display. It was the first time I’ve seen these in store shelves in my 15 years of living in the East coast. 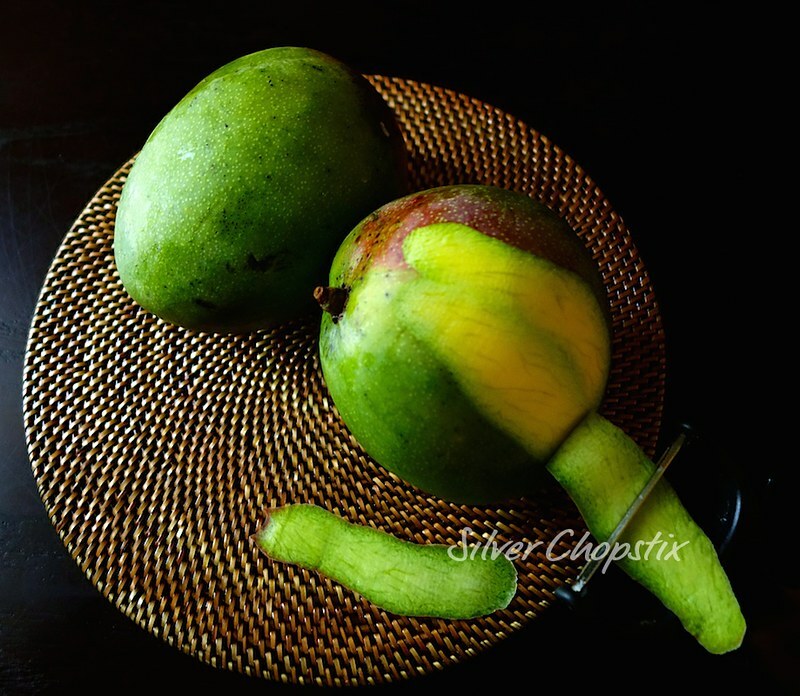 When we were at Southern California last week for vacation, my cousin served us green mangoes and bagoong. The taste brought me back home. I can’t even remember the last time I had those. I tried to get some to bring back here in NJ, but sadly those left in the store were badly bruised and ripening already. So I came home empty handed. Imagine how happy I was for snagging these today at the Asian store. 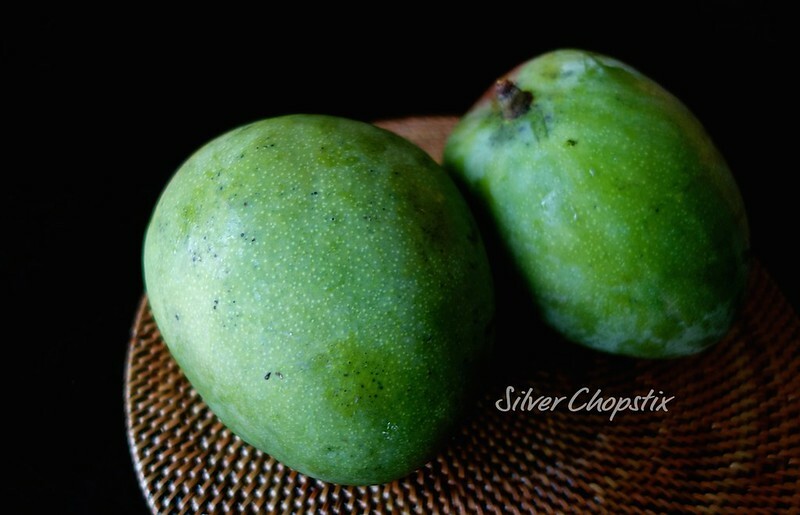 Green mangoes are usually used in salads, appetizers and condiments in Philippine cooking. They are also made into shakes or smoothies which became popular I believe in the late 80’s or early 90’s. 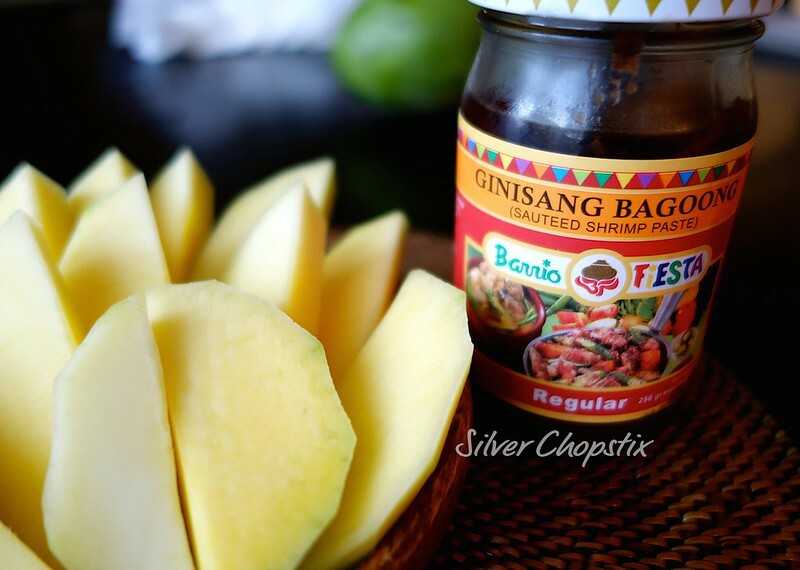 This is considered a Filipino street food and is best eaten, sliced and served with bagoong (sautéed shrimp paste). Though some like to dip it in salt. The combination of sour and salty sweet is something that is irresistible to many Pinoys. I’m sure this is an acquired taste for non-Filipinos as I am guessing only people living in Southeast Asia can really appreciate eating sour fruits. 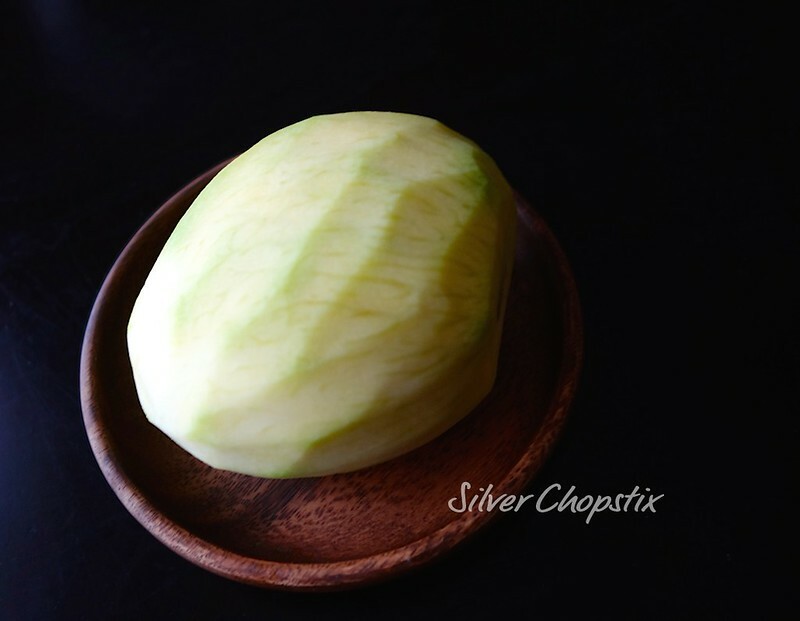 Countries like Thailand, Malaysia, Singapore and Vietnam do like to pair their sour or unripe fruits with something salty and tangy too. 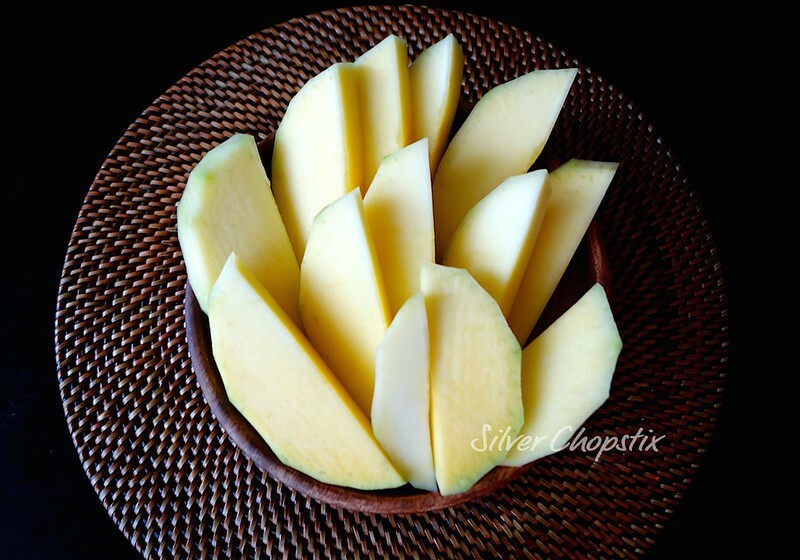 The Thais for example would eat sour guava with sugar and chili or plum powder and green manages with fish sauce or shrimp paste too. 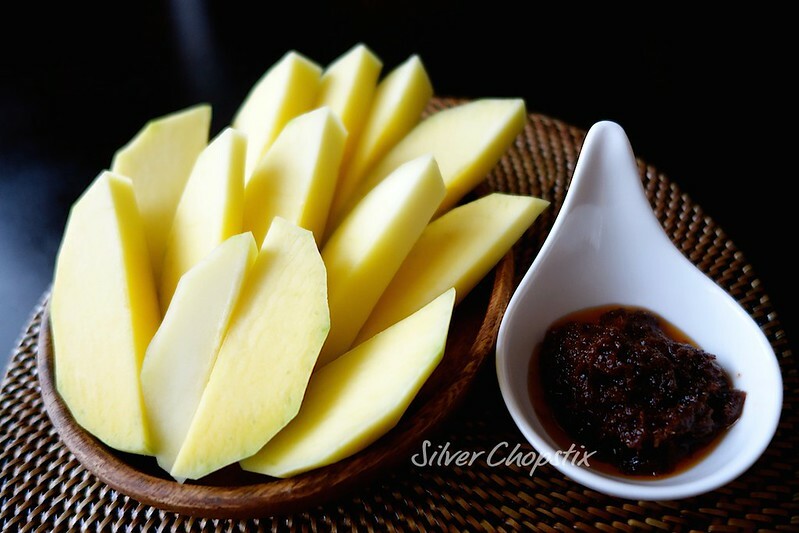 I prefer to eat green mangoes chilled, sliced and served with bagoong.